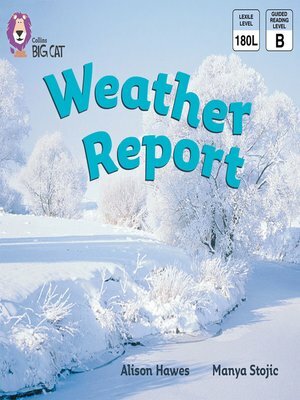 A non-fiction report about different types of weather over the course of a week. Photographs of each weather accompany illustrations of how people might act and dress in different weather conditions, while the repetitive pattern of text reports on each dayâ? ?s weather. â?¢ Red A/Band 2A books offer predictable text with familiar objects and actions, combined with simple story development. â?¢ Text type - A non-fiction report. â?¢ A summary â? ?Weather Reportâ?? on pages 14 and 15 provides children with the opportunity to recap the different weather types and days of the week.